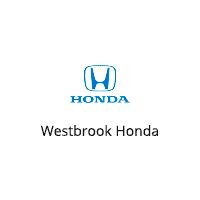 Branford drivers looking for a popular and reliable family-friendly crossover SUV should consider the Honda CR-V. Browse our inventory to find a Honda CR-V for sale at Westbrook Honda that has everything you need. LX trim, Basque Red Pearl II exterior and Gray interior. Bluetooth, Alloy Wheels, All Wheel Drive, iPod/MP3 Input, Back-Up Camera. Warranty 5 yrs/60k Miles - Drivetrain Warranty;KEY FEATURES INCLUDEAll Wheel Drive, Back-Up Camera, iPod/MP3 Input, Bluetooth, Aluminum Wheels. Rear Spoiler, MP3 Player, Keyless Entry, Child Safety Locks, Steering Wheel Controls. Honda LX with Basque Red Pearl II exterior and Gray interior features a 4 Cylinder Engine with 184 HP at 6400 RPM*.WHY BUY FROM USAll preowned vehicles are covered by the Lorensen Advantage, including extended warranties and free services. For more information go to www.lorensen.com/lorensen-advantage.Horsepower calculations based on trim engine configuration. Please confirm the accuracy of the included equipment by calling us prior to purchase. Platinum White Pearl exterior and Ivory interior, LX trim. FUEL EFFICIENT 31 MPG Hwy/25 MPG City! Back-Up Camera, Aluminum Wheels, iPod/MP3 Input, Bluetooth, All Wheel Drive. Warranty 5 yrs/60k Miles - Drivetrain Warranty; SEE MORE! KEY FEATURES INCLUDE All Wheel Drive, Back-Up Camera, iPod/MP3 Input, Bluetooth, Aluminum Wheels. Rear Spoiler, MP3 Player, Keyless Entry, Child Safety Locks, Steering Wheel Controls. Honda LX with Platinum White Pearl exterior and Ivory interior features a 4 Cylinder Engine with 184 HP at 6400 RPM*. EXPERTS RAVE Edmunds.com explains It makes family life easier with a cavernous cargo area, abundant back seat room, easily accessed LATCH anchors and more clever storage solutions than an Ikea. It will also keep you safe.. Great Gas Mileage: 31 MPG Hwy. OUR OFFERINGS All preowned vehicles are covered by the Lorensen Advantage, including extended warranties and free services. For more information go to www.lorensen.com/lorensen-advantage. Horsepower calculations based on trim engine configuration. Fuel economy calculations based on original manufacturer data for trim engine configuration. Please confirm the accuracy of the included equipment by calling us prior to purchase. Basque Red Pearl II exterior and Gray interior, LX trim. EPA 31 MPG Hwy/25 MPG City! Alloy Wheels, All Wheel Drive, Back-Up Camera, Bluetooth, iPod/MP3 Input. Warranty 5 yrs/60k Miles - Drivetrain Warranty; SEE MORE! KEY FEATURES INCLUDE All Wheel Drive, Back-Up Camera, iPod/MP3 Input, Bluetooth, Aluminum Wheels. Rear Spoiler, MP3 Player, Keyless Entry, Child Safety Locks, Steering Wheel Controls. Honda LX with Basque Red Pearl II exterior and Gray interior features a 4 Cylinder Engine with 184 HP at 6400 RPM*. VEHICLE REVIEWS Edmunds.com's review says It makes family life easier with a cavernous cargo area, abundant back seat room, easily accessed LATCH anchors and more clever storage solutions than an Ikea. It will also keep you safe.. Great Gas Mileage: 31 MPG Hwy. OUR OFFERINGS All preowned vehicles are covered by the Lorensen Advantage, including extended warranties and free services. For more information go to www.lorensen.com/lorensen-advantage. Horsepower calculations based on trim engine configuration. Fuel economy calculations based on original manufacturer data for trim engine configuration. Please confirm the accuracy of the included equipment by calling us prior to purchase. FUEL EFFICIENT 31 MPG Hwy/25 MPG City! Lunar Silver Metallic exterior and Gray interior, LX trim. Alloy Wheels, All Wheel Drive, Back-Up Camera, Bluetooth, iPod/MP3 Input. Warranty 5 yrs/60k Miles - Drivetrain Warranty;KEY FEATURES INCLUDEAll Wheel Drive, Back-Up Camera, iPod/MP3 Input, Bluetooth, Aluminum Wheels Rear Spoiler, MP3 Player, Keyless Entry, Child Safety Locks, Steering Wheel Controls. Honda LX with Lunar Silver Metallic exterior and Gray interior features a 4 Cylinder Engine with 184 HP at 6400 RPM*.EXPERTS REPORTEdmunds.com's review says It makes family life easier with a cavernous cargo area, abundant back seat room, easily accessed LATCH anchors and more clever storage solutions than an Ikea. It will also keep you safe.. Great Gas Mileage: 31 MPG Hwy.VISIT US TODAYAll preowned vehicles are covered by the Lorensen Advantage, including extended warranties and free services. For more information go to www.lorensen.com/lorensen-advantage.Horsepower calculations based on trim engine configuration. Fuel economy calculations based on original manufacturer data for trim engine configuration. Please confirm the accuracy of the included equipment by calling us prior to purchase. All Wheel Drive, Aluminum Wheels, Back-Up Camera, iPod/MP3 Input, Bluetooth. Modern Steel Metallic exterior and Black interior, LX trim. EPA 31 MPG Hwy/25 MPG City! Warranty 5 yrs/60k Miles - Drivetrain Warranty; READ MORE! KEY FEATURES INCLUDE All Wheel Drive, Back-Up Camera, iPod/MP3 Input, Bluetooth, Aluminum Wheels. Rear Spoiler, MP3 Player, Keyless Entry, Child Safety Locks, Steering Wheel Controls. Honda LX with Modern Steel Metallic exterior and Black interior features a 4 Cylinder Engine with 184 HP at 6400 RPM*. EXPERTS REPORT Edmunds.com's review says It makes family life easier with a cavernous cargo area, abundant back seat room, easily accessed LATCH anchors and more clever storage solutions than an Ikea. It will also keep you safe.. Great Gas Mileage: 31 MPG Hwy. VISIT US TODAY All preowned vehicles are covered by the Lorensen Advantage, including extended warranties and free services. For more information go to www.lorensen.com/lorensen-advantage. Horsepower calculations based on trim engine configuration. Fuel economy calculations based on original manufacturer data for trim engine configuration. Please confirm the accuracy of the included equipment by calling us prior to purchase. LX trim, Basque Red Pearl II exterior and Gray interior. Aluminum Wheels, All Wheel Drive, Back-Up Camera, Bluetooth, iPod/MP3 Input. EPA 31 MPG Hwy/25 MPG City! Warranty 5 yrs/60k Miles - Drivetrain Warranty;KEY FEATURES INCLUDEAll Wheel Drive, Back-Up Camera, iPod/MP3 Input, Bluetooth, Aluminum Wheels Rear Spoiler, MP3 Player, Keyless Entry, Child Safety Locks, Steering Wheel Controls. Honda LX with Basque Red Pearl II exterior and Gray interior features a 4 Cylinder Engine with 184 HP at 6400 RPM*.EXPERTS CONCLUDEEdmunds.com explains It makes family life easier with a cavernous cargo area, abundant back seat room, easily accessed LATCH anchors and more clever storage solutions than an Ikea. It will also keep you safe.. Great Gas Mileage: 31 MPG Hwy.MORE ABOUT USAll preowned vehicles are covered by the Lorensen Advantage, including extended warranties and free services. For more information go to www.lorensen.com/lorensen-advantage.Horsepower calculations based on trim engine configuration. Fuel economy calculations based on original manufacturer data for trim engine configuration. Please confirm the accuracy of the included equipment by calling us prior to purchase. LX trim, Crystal Black Pearl exterior and Black interior. EPA 31 MPG Hwy/25 MPG City! All Wheel Drive, Aluminum Wheels, iPod/MP3 Input, Back-Up Camera, Bluetooth. Warranty 5 yrs/60k Miles - Drivetrain Warranty; CLICK NOW! KEY FEATURES INCLUDE All Wheel Drive, Back-Up Camera, iPod/MP3 Input, Bluetooth, Aluminum Wheels. Rear Spoiler, MP3 Player, Keyless Entry, Child Safety Locks, Steering Wheel Controls. Honda LX with Crystal Black Pearl exterior and Black interior features a 4 Cylinder Engine with 184 HP at 6400 RPM*. EXPERTS ARE SAYING Edmunds.com's review says It makes family life easier with a cavernous cargo area, abundant back seat room, easily accessed LATCH anchors and more clever storage solutions than an Ikea. It will also keep you safe.. Great Gas Mileage: 31 MPG Hwy. OUR OFFERINGS All preowned vehicles are covered by the Lorensen Advantage, including extended warranties and free services. For more information go to www.lorensen.com/lorensen-advantage. Horsepower calculations based on trim engine configuration. Fuel economy calculations based on original manufacturer data for trim engine configuration. Please confirm the accuracy of the included equipment by calling us prior to purchase. Aluminum Wheels, iPod/MP3 Input, All Wheel Drive, Bluetooth, Back-Up Camera. EPA 31 MPG Hwy/25 MPG City! Lunar Silver Metallic exterior and Gray interior, LX trim. Warranty 5 yrs/60k Miles - Drivetrain Warranty; SEE MORE! KEY FEATURES INCLUDE All Wheel Drive, Back-Up Camera, iPod/MP3 Input, Bluetooth, Aluminum Wheels Rear Spoiler, MP3 Player, Keyless Entry, Child Safety Locks, Steering Wheel Controls. Honda LX with Lunar Silver Metallic exterior and Gray interior features a 4 Cylinder Engine with 184 HP at 6400 RPM*. EXPERTS ARE SAYING It makes family life easier with a cavernous cargo area, abundant back seat room, easily accessed LATCH anchors and more clever storage solutions than an Ikea. It will also keep you safe. -Edmunds.com. Great Gas Mileage: 31 MPG Hwy. MORE ABOUT US All preowned vehicles are covered by the Lorensen Advantage, including extended warranties and free services. For more information go to www.lorensen.com/lorensen-advantage. Horsepower calculations based on trim engine configuration. Fuel economy calculations based on original manufacturer data for trim engine configuration. Please confirm the accuracy of the included equipment by calling us prior to purchase. FUEL EFFICIENT 31 MPG Hwy/25 MPG City! Lunar Silver Metallic exterior and Gray interior, LX trim. Back-Up Camera, Alloy Wheels, iPod/MP3 Input, Bluetooth, All Wheel Drive. Warranty 5 yrs/60k Miles - Drivetrain Warranty;KEY FEATURES INCLUDEAll Wheel Drive, Back-Up Camera, iPod/MP3 Input, Bluetooth, Aluminum Wheels Rear Spoiler, MP3 Player, Keyless Entry, Child Safety Locks, Steering Wheel Controls. Honda LX with Lunar Silver Metallic exterior and Gray interior features a 4 Cylinder Engine with 184 HP at 6400 RPM*.EXPERTS ARE SAYINGIt makes family life easier with a cavernous cargo area, abundant back seat room, easily accessed LATCH anchors and more clever storage solutions than an Ikea. It will also keep you safe. -Edmunds.com. Great Gas Mileage: 31 MPG Hwy.MORE ABOUT USAll preowned vehicles are covered by the Lorensen Advantage, including extended warranties and free services. For more information go to www.lorensen.com/lorensen-advantage.Horsepower calculations based on trim engine configuration. Fuel economy calculations based on original manufacturer data for trim engine configuration. Please confirm the accuracy of the included equipment by calling us prior to purchase. LX trim, Platinum White Pearl exterior and Ivory interior. All Wheel Drive, Alloy Wheels, Back-Up Camera, Bluetooth, iPod/MP3 Input. FUEL EFFICIENT 31 MPG Hwy/25 MPG City! Warranty 5 yrs/60k Miles - Drivetrain Warranty;KEY FEATURES INCLUDEAll Wheel Drive, Back-Up Camera, iPod/MP3 Input, Bluetooth, Aluminum Wheels. Rear Spoiler, MP3 Player, Keyless Entry, Child Safety Locks, Steering Wheel Controls. Honda LX with Platinum White Pearl exterior and Ivory interior features a 4 Cylinder Engine with 184 HP at 6400 RPM*.VEHICLE REVIEWSEdmunds.com explains It makes family life easier with a cavernous cargo area, abundant back seat room, easily accessed LATCH anchors and more clever storage solutions than an Ikea. It will also keep you safe.. Great Gas Mileage: 31 MPG Hwy.WHO WE AREAll preowned vehicles are covered by the Lorensen Advantage, including extended warranties and free services. For more information go to www.lorensen.com/lorensen-advantage.Horsepower calculations based on trim engine configuration. Fuel economy calculations based on original manufacturer data for trim engine configuration. Please confirm the accuracy of the included equipment by calling us prior to purchase. Aluminum Wheels, Back-Up Camera, All Wheel Drive, Bluetooth, iPod/MP3 Input. FUEL EFFICIENT 31 MPG Hwy/25 MPG City! Modern Steel Metallic exterior and Black interior, LX trim. Warranty 5 yrs/60k Miles - Drivetrain Warranty; AND MORE! KEY FEATURES INCLUDE All Wheel Drive, Back-Up Camera, iPod/MP3 Input, Bluetooth, Aluminum Wheels Rear Spoiler, MP3 Player, Keyless Entry, Child Safety Locks, Steering Wheel Controls. Honda LX with Modern Steel Metallic exterior and Black interior features a 4 Cylinder Engine with 184 HP at 6400 RPM*. VEHICLE REVIEWS Edmunds.com explains It makes family life easier with a cavernous cargo area, abundant back seat room, easily accessed LATCH anchors and more clever storage solutions than an Ikea. It will also keep you safe.. Great Gas Mileage: 31 MPG Hwy. VISIT US TODAY All preowned vehicles are covered by the Lorensen Advantage, including extended warranties and free services. For more information go to www.lorensen.com/lorensen-advantage. Horsepower calculations based on trim engine configuration. Fuel economy calculations based on original manufacturer data for trim engine configuration. Please confirm the accuracy of the included equipment by calling us prior to purchase. LX trim, Basque Red Pearl II exterior and Gray interior. EPA 31 MPG Hwy/25 MPG City! All Wheel Drive, Alloy Wheels, iPod/MP3 Input, Back-Up Camera, Bluetooth. Warranty 5 yrs/60k Miles - Drivetrain Warranty;KEY FEATURES INCLUDEAll Wheel Drive, Back-Up Camera, iPod/MP3 Input, Bluetooth, Aluminum Wheels. Rear Spoiler, MP3 Player, Keyless Entry, Child Safety Locks, Steering Wheel Controls. Honda LX with Basque Red Pearl II exterior and Gray interior features a 4 Cylinder Engine with 184 HP at 6400 RPM*.VEHICLE REVIEWSEdmunds.com's review says It makes family life easier with a cavernous cargo area, abundant back seat room, easily accessed LATCH anchors and more clever storage solutions than an Ikea. It will also keep you safe.. Great Gas Mileage: 31 MPG Hwy.BUY FROM AN AWARD WINNING DEALERAll preowned vehicles are covered by the Lorensen Advantage, including extended warranties and free services. For more information go to www.lorensen.com/lorensen-advantage.Horsepower calculations based on trim engine configuration. Fuel economy calculations based on original manufacturer data for trim engine configuration. Please confirm the accuracy of the included equipment by calling us prior to purchase. Heated Seats, Moonroof, Bluetooth, Remote Engine Start, All Wheel Drive, Turbo Charged Engine, Aluminum Wheels, iPod/MP3 Input, Satellite Radio. Lunar Silver Metallic exterior and Black interior, EX trim. EPA 33 MPG Hwy/27 MPG City!KEY FEATURES INCLUDESunroof, All Wheel Drive, Heated Driver Seat, Back-Up Camera, Turbocharged, Satellite Radio, iPod/MP3 Input, Bluetooth, Aluminum Wheels, Remote Engine Start, Dual Zone A/C, Cross-Traffic Alert, Lane Keeping Assist, Smart Device Integration, Blind Spot Monitor Rear Spoiler, MP3 Player, Privacy Glass, Keyless Entry, Steering Wheel Controls. Honda EX with Lunar Silver Metallic exterior and Black interior features a 4 Cylinder Engine with 190 HP at 5600 RPM*.EXPERTS ARE SAYINGGreat Gas Mileage: 33 MPG Hwy.WHY BUY FROM USAll preowned vehicles are covered by the Lorensen Advantage, including extended warranties and free services. For more information go to www.lorensen.com/lorensen-advantage.Horsepower calculations based on trim engine configuration. Fuel economy calculations based on original manufacturer data for trim engine configuration. Please confirm the accuracy of the included equipment by calling us prior to purchase. Heated Seats, Sunroof, Bluetooth, All Wheel Drive, Alloy Wheels, Turbo, iPod/MP3 Input, Satellite Radio, Back-Up Camera. Modern Steel Metallic exterior and Gray interior, EX trim. EPA 33 MPG Hwy/27 MPG City! SEE MORE! KEY FEATURES INCLUDE Sunroof, All Wheel Drive, Heated Driver Seat, Back-Up Camera, Turbocharged, Satellite Radio, iPod/MP3 Input, Bluetooth. Rear Spoiler, MP3 Player, Privacy Glass, Keyless Entry, Steering Wheel Controls. Honda EX with Modern Steel Metallic exterior and Gray interior features a 4 Cylinder Engine with 190 HP at 5600 RPM*. EXPERTS ARE SAYING Great Gas Mileage: 33 MPG Hwy. VISIT US TODAY All preowned vehicles are covered by the Lorensen Advantage, including extended warranties and free services. For more information go to www.lorensen.com/lorensen-advantage. Horsepower calculations based on trim engine configuration. Fuel economy calculations based on original manufacturer data for trim engine configuration. Please confirm the accuracy of the included equipment by calling us prior to purchase. Heated Seats, Sunroof, Remote Engine Start, Bluetooth, All Wheel Drive, Alloy Wheels, Turbo Charged, iPod/MP3 Input, Satellite Radio. Platinum White Pearl exterior and Black interior, EX trim. FUEL EFFICIENT 33 MPG Hwy/27 MPG City!KEY FEATURES INCLUDESunroof, All Wheel Drive, Heated Driver Seat, Back-Up Camera, Turbocharged, Satellite Radio, iPod/MP3 Input, Bluetooth, Aluminum Wheels, Remote Engine Start, Dual Zone A/C, Cross-Traffic Alert, Lane Keeping Assist, Smart Device Integration, Blind Spot Monitor Rear Spoiler, MP3 Player, Privacy Glass, Keyless Entry, Steering Wheel Controls. Honda EX with Platinum White Pearl exterior and Black interior features a 4 Cylinder Engine with 190 HP at 5600 RPM*.EXPERTS REPORTGreat Gas Mileage: 33 MPG Hwy.WHY BUY FROM USAll preowned vehicles are covered by the Lorensen Advantage, including extended warranties and free services. For more information go to www.lorensen.com/lorensen-advantage.Horsepower calculations based on trim engine configuration. Fuel economy calculations based on original manufacturer data for trim engine configuration. Please confirm the accuracy of the included equipment by calling us prior to purchase. Heated Seats, Moonroof, Remote Engine Start, Bluetooth, All Wheel Drive, Aluminum Wheels, Turbo Charged Engine, iPod/MP3 Input, Satellite Radio. EX trim, Modern Steel Metallic exterior and Gray interior. EPA 33 MPG Hwy/27 MPG City!KEY FEATURES INCLUDESunroof, All Wheel Drive, Heated Driver Seat, Back-Up Camera, Turbocharged, Satellite Radio, iPod/MP3 Input, Bluetooth, Aluminum Wheels, Remote Engine Start, Dual Zone A/C, Cross-Traffic Alert, Lane Keeping Assist, Smart Device Integration, Blind Spot Monitor Rear Spoiler, MP3 Player, Privacy Glass, Keyless Entry, Steering Wheel Controls. Honda EX with Modern Steel Metallic exterior and Gray interior features a 4 Cylinder Engine with 190 HP at 5600 RPM*.EXPERTS ARE SAYINGGreat Gas Mileage: 33 MPG Hwy.OUR OFFERINGSAll preowned vehicles are covered by the Lorensen Advantage, including extended warranties and free services. For more information go to www.lorensen.com/lorensen-advantage.Horsepower calculations based on trim engine configuration. Fuel economy calculations based on original manufacturer data for trim engine configuration. Please confirm the accuracy of the included equipment by calling us prior to purchase. Heated Seats, Sunroof, Bluetooth, All Wheel Drive, Alloy Wheels, Turbo, iPod/MP3 Input, Satellite Radio, Back-Up Camera. EPA 33 MPG Hwy/27 MPG City! Modern Steel Metallic exterior and Gray interior, EX trim. READ MORE! KEY FEATURES INCLUDE Sunroof, All Wheel Drive, Heated Driver Seat, Back-Up Camera, Turbocharged, Satellite Radio, iPod/MP3 Input, Bluetooth Rear Spoiler, MP3 Player, Privacy Glass, Keyless Entry, Steering Wheel Controls. Honda EX with Modern Steel Metallic exterior and Gray interior features a 4 Cylinder Engine with 190 HP at 5600 RPM*. EXPERTS ARE SAYING Great Gas Mileage: 33 MPG Hwy. WHO WE ARE All preowned vehicles are covered by the Lorensen Advantage, including extended warranties and free services. For more information go to www.lorensen.com/lorensen-advantage. Horsepower calculations based on trim engine configuration. Fuel economy calculations based on original manufacturer data for trim engine configuration. Please confirm the accuracy of the included equipment by calling us prior to purchase. Heated Seats, Sunroof, Bluetooth, All Wheel Drive, Alloy Wheels, Turbo Charged, iPod/MP3 Input, Satellite Radio, Back-Up Camera. EX trim, Platinum White Pearl exterior and Ivory interior. FUEL EFFICIENT 33 MPG Hwy/27 MPG City! CLICK ME! KEY FEATURES INCLUDE Sunroof, All Wheel Drive, Heated Driver Seat, Back-Up Camera, Turbocharged, Satellite Radio, iPod/MP3 Input, Bluetooth Rear Spoiler, MP3 Player, Privacy Glass, Keyless Entry, Steering Wheel Controls. Honda EX with Platinum White Pearl exterior and Ivory interior features a 4 Cylinder Engine with 190 HP at 5600 RPM*. VEHICLE REVIEWS Edmunds.com's review says It makes family life easier with a cavernous cargo area, abundant back seat room, easily accessed LATCH anchors and more clever storage solutions than an Ikea. It will also keep you safe.. Great Gas Mileage: 33 MPG Hwy. WHO WE ARE All preowned vehicles are covered by the Lorensen Advantage, including extended warranties and free services. For more information go to www.lorensen.com/lorensen-advantage. Horsepower calculations based on trim engine configuration. Fuel economy calculations based on original manufacturer data for trim engine configuration. Please confirm the accuracy of the included equipment by calling us prior to purchase. Moonroof, Heated Leather Seats, iPod/MP3 Input, All Wheel Drive, Aluminum Wheels, Turbo Charged Engine, Satellite Radio, Back-Up Camera. Platinum White Pearl exterior and Black interior, EX-L trim. FUEL EFFICIENT 33 MPG Hwy/27 MPG City!KEY FEATURES INCLUDELeather Seats, Sunroof, All Wheel Drive, Power Liftgate, Heated Driver Seat, Back-Up Camera, Turbocharged, Satellite Radio, iPod/MP3 Input, Bluetooth, Aluminum Wheels, Remote Engine Start, Dual Zone A/C, Smart Device Integration, Blind Spot Monitor Rear Spoiler, MP3 Player, Remote Trunk Release, Privacy Glass, Keyless Entry. Honda EX-L with Platinum White Pearl exterior and Black interior features a 4 Cylinder Engine with 190 HP at 5600 RPM*.EXPERTS REPORTEdmunds.com explains It makes family life easier with a cavernous cargo area, abundant back seat room, easily accessed LATCH anchors and more clever storage solutions than an Ikea. It will also keep you safe.. Great Gas Mileage: 33 MPG Hwy.VISIT US TODAYAll preowned vehicles are covered by the Lorensen Advantage, including extended warranties and free services. For more information go to www.lorensen.com/lorensen-advantage.Horsepower calculations based on trim engine configuration. Fuel economy calculations based on original manufacturer data for trim engine configuration. Please confirm the accuracy of the included equipment by calling us prior to purchase. Sunroof, Heated Seats, Remote Engine Start, Bluetooth, All Wheel Drive, Alloy Wheels, Turbo Charged, iPod/MP3 Input, Satellite Radio. Modern Steel Metallic exterior and Black interior, EX trim. FUEL EFFICIENT 33 MPG Hwy/27 MPG City!KEY FEATURES INCLUDESunroof, All Wheel Drive, Heated Driver Seat, Back-Up Camera, Turbocharged, Satellite Radio, iPod/MP3 Input, Bluetooth, Aluminum Wheels, Remote Engine Start, Dual Zone A/C, Cross-Traffic Alert, Lane Keeping Assist, Smart Device Integration, Blind Spot Monitor. Rear Spoiler, MP3 Player, Privacy Glass, Keyless Entry, Steering Wheel Controls. Honda EX with Modern Steel Metallic exterior and Black interior features a 4 Cylinder Engine with 190 HP at 5600 RPM*.EXPERTS RAVEEdmunds.com's review says It makes family life easier with a cavernous cargo area, abundant back seat room, easily accessed LATCH anchors and more clever storage solutions than an Ikea. It will also keep you safe.. Great Gas Mileage: 33 MPG Hwy.OUR OFFERINGSAll preowned vehicles are covered by the Lorensen Advantage, including extended warranties and free services. For more information go to www.lorensen.com/lorensen-advantage.Horsepower calculations based on trim engine configuration. Fuel economy calculations based on original manufacturer data for trim engine configuration. Please confirm the accuracy of the included equipment by calling us prior to purchase. When you are ready to explore the CR-V from Westbrook Honda, and compare it to the HR-V, be sure to check our current new vehicle specials in the New Haven area, then contact us for a test drive!